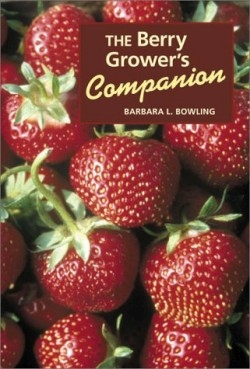 In the first two chapters, Bowling sets up her general principles for growing berries (site, soil, sunlight, and water are covered) and mentions some disadvantages—such as weeds, insects, diseases—and how to counter them. The next five chapters, each covering a single type of fruit, for example, the Brambles family, which includes raspberries, blackberries and their hybrids, follow the same pattern. A chapter on minor berry crops covers currants, gooseberries, kiwi, cranberry and edible honeysuckle. Bowling first treats the reader to an historical background of the plant. She then discusses the biology of the plant, listing harvest times and much needed information on the many cultivated varieties that are rated on everything from hardiness and taste to disease-resistance and berry size. How to grow the plant from actual planting through to harvest (including proper plant nutrition, fertilization, and pruning) is covered, as are the diseases and insects specific to the berry plant being discussed—and the means to stop them. Bowling concludes with a glossary of terms and sources of nurseries that can be used for purchasing berry plants.